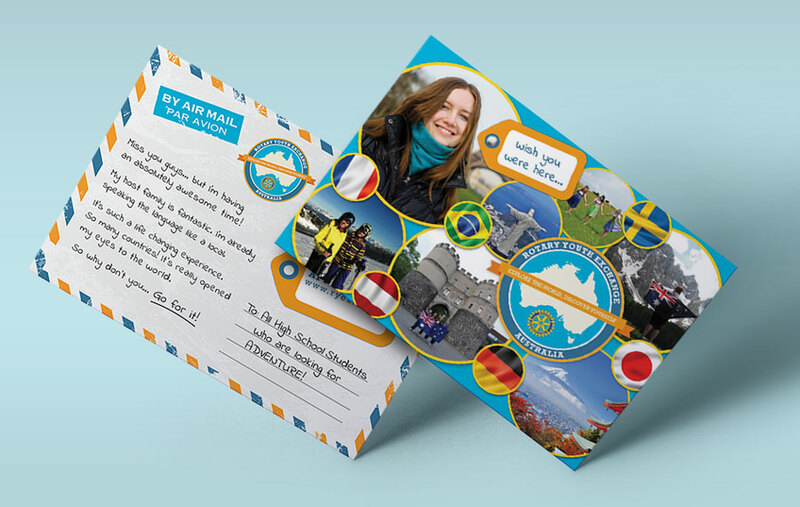 In 2015 we were engaged by Rotary Youth Exchange Australia to increasing awareness of their exchange program. The result has been exceptional, with a huge impact on Rotary clubs around Australia receiving enquiries. The campaign saw our team creating a series of TV ads, Audio Visuals for web and an EDM, plus a post card used to distribute through schools and community groups. The gocrossmedia placement team worked tirelessly to to enable the TV ads to be placed on broadcasters Australia wide via the CSA ( Community Service Announcement ) system. We appreciate the support our broadcast partners showed in helping this come to fruition. The CSA placements saw the TV ads being run right across Australia from December 26th 2015 to April 30th 2016. Ultimately, the result that we are proud of is the huge upswing in enquiry and increased student placements during 2016 and 2017 . There will be a lot of young Australians receiving the opportunity to travel abroad, live and learn for a whole year through this wonderful program. The gocrossmedia team liaised directly with the RYEA chairman Geoff Brady and treasurer Bob Crombie. We look forward to supporting Rotary Youth Exchange into the coming years.